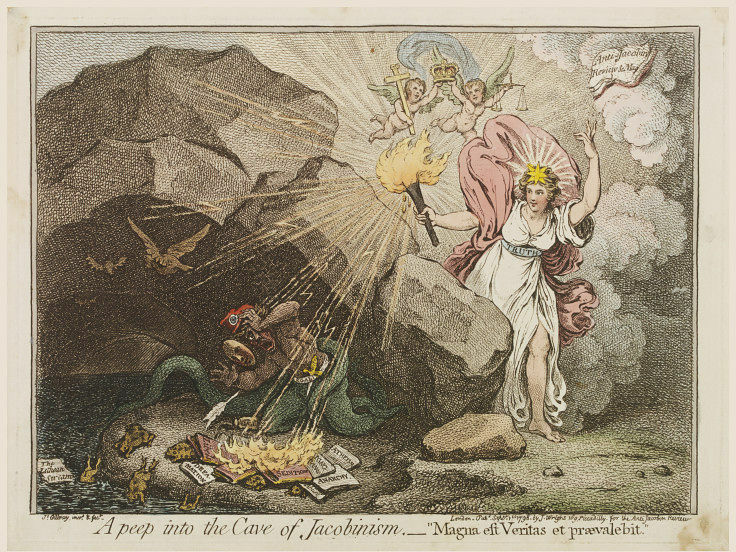 A figure of Truth shines a flaming torch into a cave where a tentacled creature with a phrygian cap cowers. 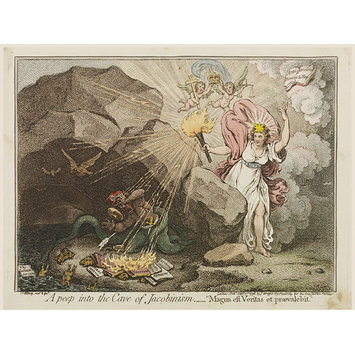 A peep into the Cave of Jacobinism. 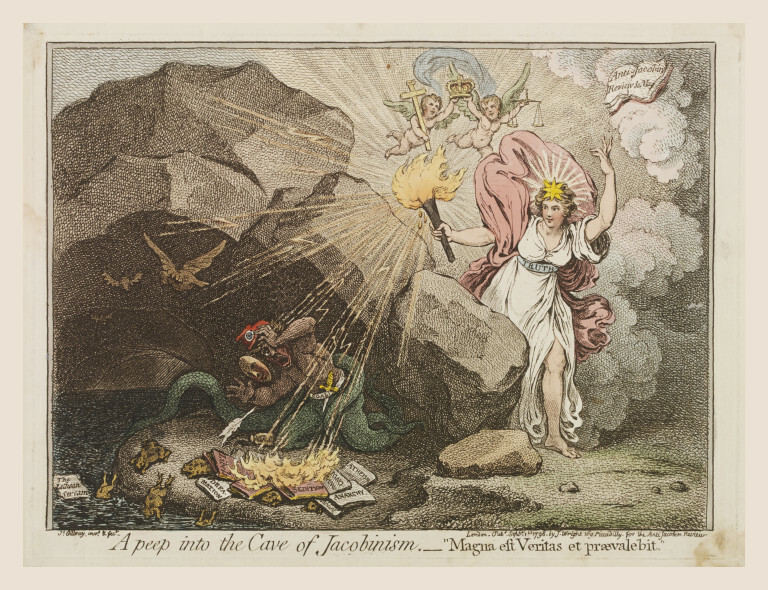 Gillray caricature.